At the age of 67, Pierre Dupasquier is the longest running worker for the Michelin company. 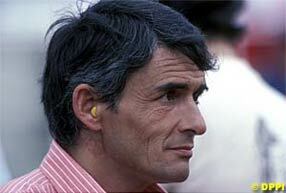 He is also one of the most senior members of the Formula One paddock, with a rich personal history in the sport. As his dinner with Biranit Goren reaches its end, he tells her about the past, but also about his nearing farewell... includes audio!